Shakespeare’s JULIUS CAESAR is the greatest political thriller ever written. The play itself has almost overwhelmed the historical story, so the murder of Caesar is possibly the most famous crime in history. Or is it a crime? That is the central issue: Is the murder of a tyrant justified, but then is Caesar a tyrant or about to become a tyrant? 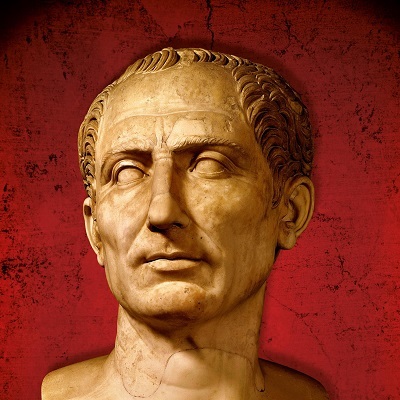 Once Caesar is killed democracy is overwhelmed by populism and corruption which eat away at noble aims until Brutus and Cassius kill themselves. The violence of the “Liberators” rebounds upon themselves, watched over by the ghost of the great man they murdered in the name of justice. In a world of Trump, Brexit and the rise of the populist Right this is the classical play for our time. But it is also an action packed thriller that moves with breathless pace as the audience is propelled from ancient Rome to the battlefield of Philippi and the mob is manipulated by emotion and fine words to turn from decent citizens to bestial killers. Brutus, the most honourable of men, tries to steer a course through this storm but crashes into harsh reality. His morality is compromised and his high principles are not enough to save him or the idea of Republican Rome. Caesar triumphs in death and brutal dictatorship wins the day. “How shall we combine morality with power” asks Brutus and only the audience can answer this most essential of questions, posed 500 years ago by the most brilliant of writers: William Shakespeare. This interpretation of Julius Caesar is based on Paul Stebbings’ highly acclaimed, site specific (GLYPTOTHEK MUNICH) German language production of 2017. The setting is historical, the music a powerful blend of live and recorded cello, song, trumpet and percussion. The poetry is sublime and the daggers sharp. Luxembourg and Switzerland in 2018. “I never knew Shakespeare could be so entertaining.” CNN TV. classical play for our troubled political times.” Münchner Merkur. Diese Aufführung findet bei jedem Wetter draußen statt.